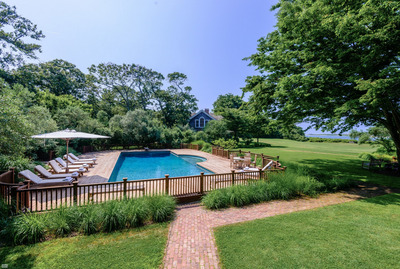 Brown Harris StevensBriar Patch sits on 11.2 gorgeous acres in East Hampton. 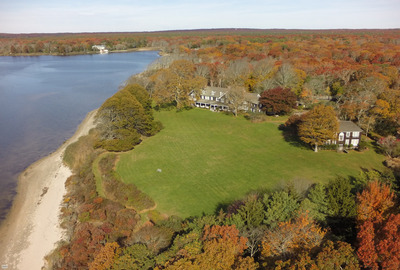 An 11.2-acre estate with 1,156 feet of water frontage on Georgica Pond in East Hampton will list for $US140 million, according to the Wall Street Journal. 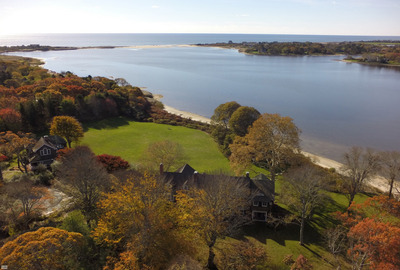 A $US140 million price tag on the estate, called Briar Patch, will make it the most expensive listing in the Hamptons. 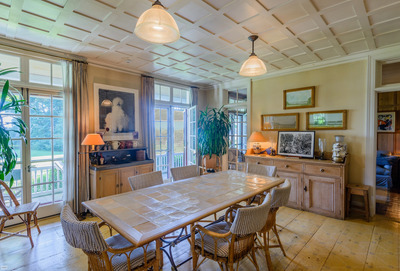 The current owners, Chris Whittle, and his wife Priscilla Rattazzi, bought the 10,000-square-foot home in 1989 and completely renovated it with architect Peter Marino in 1990. Most recently, the home has been listed on Brown Harris Stevens for rent on a short-term lease for $US175,000. The estate features an in-ground pool, tennis courts, acres of plush grass, a separate guest house, and access to Georgica Pond. 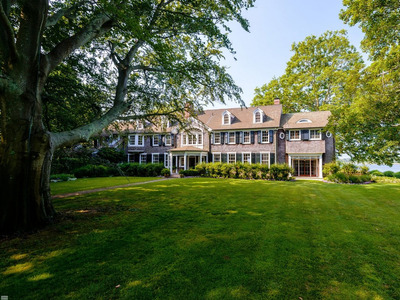 The main home has six bedrooms and features historic “Georgian-Revival” shingles on the exterior. Briar Patch sits on 11.2 acres of land. 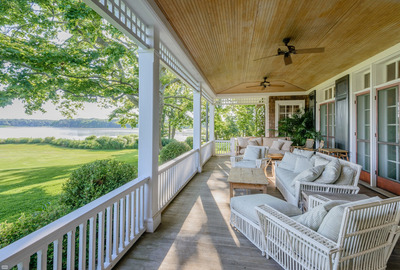 The gorgeous porch has views of the 1,156 feet of water frontage on Georgica Pond. 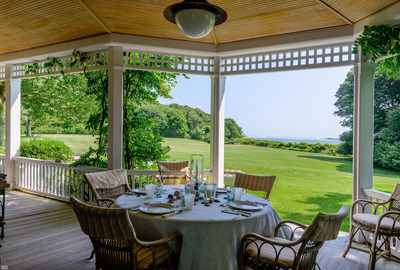 The many amenities outside the home are probably the best parts of the property. 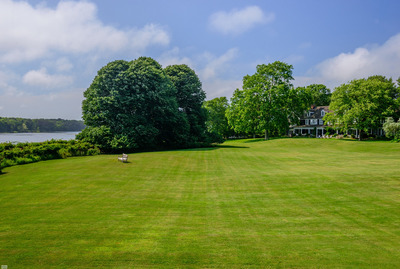 The wide open lawns are surrounded by Sycamore, Maple, and Linden trees. The pool is the perfect place to spend the hot summer days. 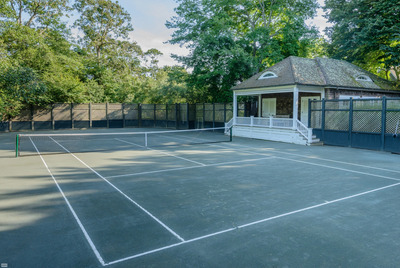 And it's also a great place to work on your tennis game. 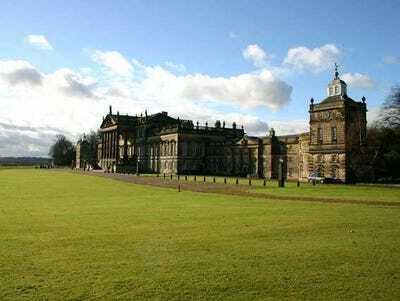 The home itself is private and set back from the road. 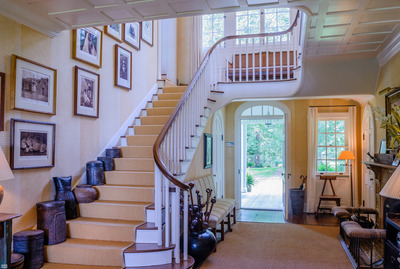 The interior is bright and airy with high ceilings and lots of light. 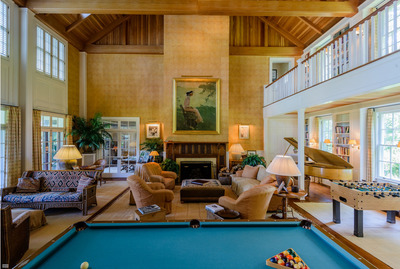 The great room was added to the home in the 1990 renovation. 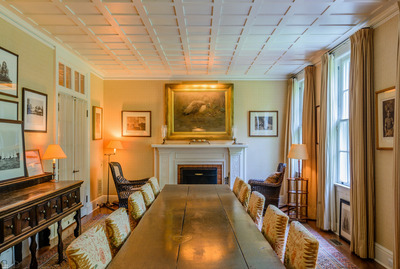 One of the four fire places is in the formal dining room. There is also an eat-in area in the kitchen. 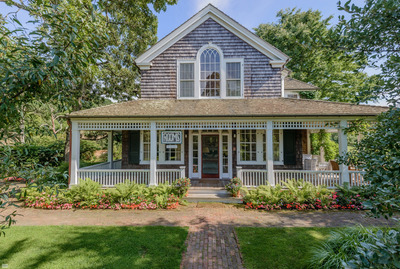 The separate guest house was built in the same style as the main home. 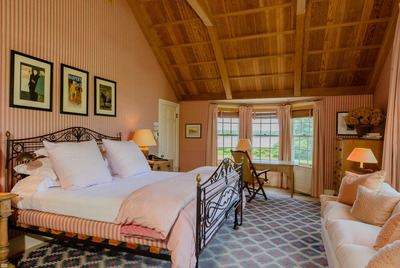 The guesthouse has four bedrooms. One last look from overhead at this sprawling property.